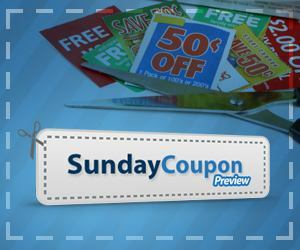 It’s Memorial Day weekend and that means there will be no coupons in the Sunday, May 26, 2013, newspaper according to Sunday Coupon Preview. Take advantage of the nice long weekend to purge those old expired ones and clip any that you haven’t gotten around to clipping. And before you go shopping, be sure to check out the printable coupons. A new month is just around the corner, so now is a great time to print those coupons you’ve been meaning to print before they’re gone for good.